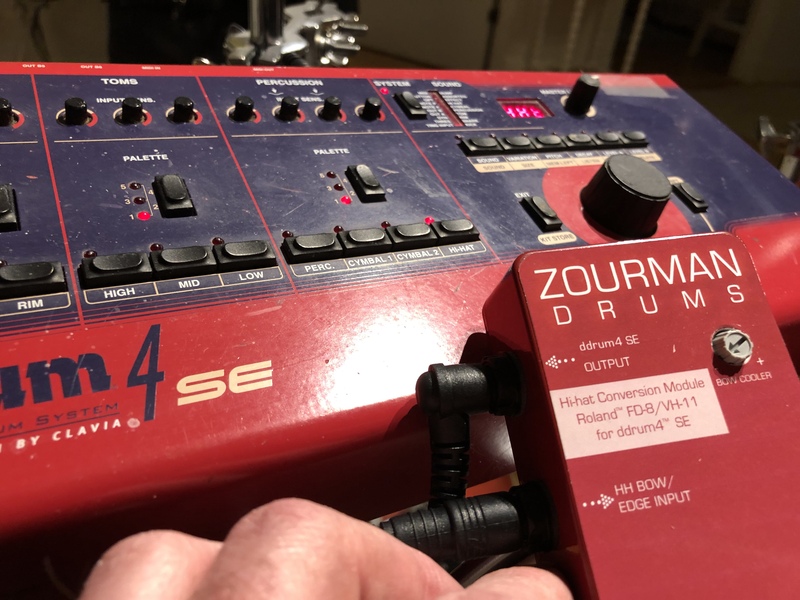 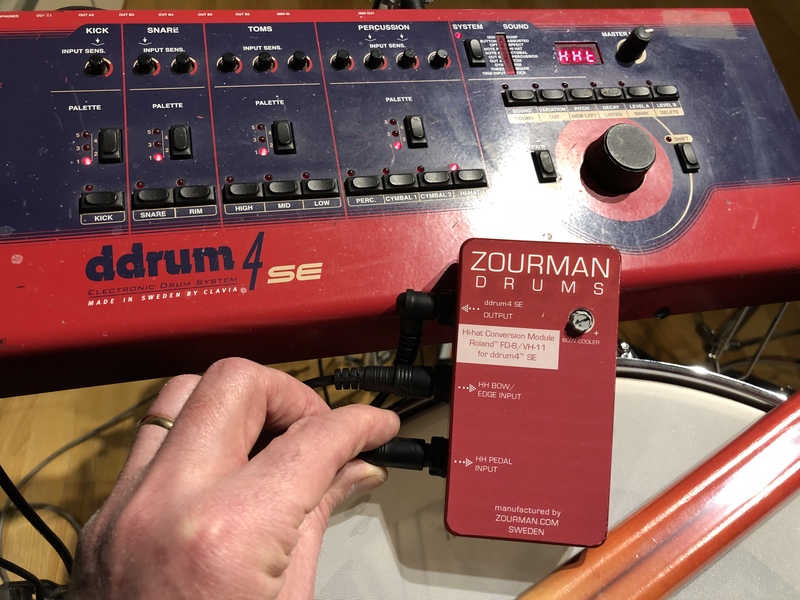 The Zourman Drums hi-hat conversion module replaces a standard ddrum4 or ddrum4 SE hi-hat with your favourite Roland FD-7, FD-8, FD-9 or VH-11 hi-hat. 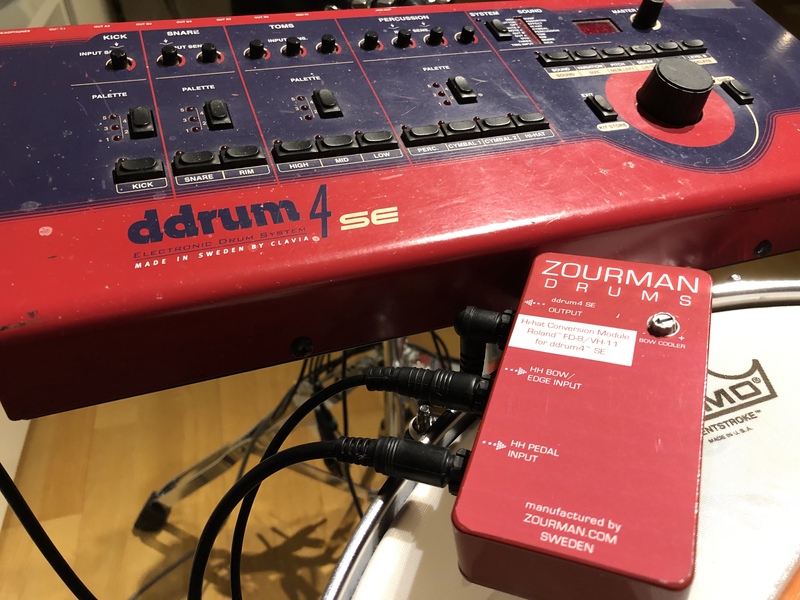 The solution is 100% plug and play and handles Roland hi-hat pad (bow only) and the hi-hat control pedal through the two input connectors. 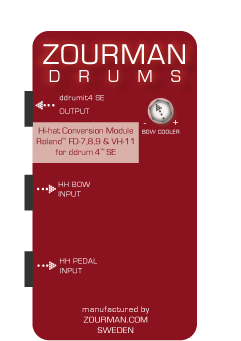 The Hi-hat Conversion module deliver the output into a standard ddrum4 SE hi-hat input (single stereo jack).